"3DSJ ALL REQUEST RADIO" is dedicated to being radio's #1 programming and branding service. 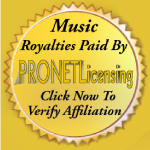 Our mission is to increase the audience and revenue of under performing radio stations and we will even let you try our formula for FREE on your station. This is a perfect way to introduce your new potential listeners and advertisers to our highly researched and advanced technological achievement.